Bitdefender Total Security - download in one click. Virus free. Download the latest version of Bitdefender Total Security with just one click, without registration. It comes with a safe official web installer for Windows. 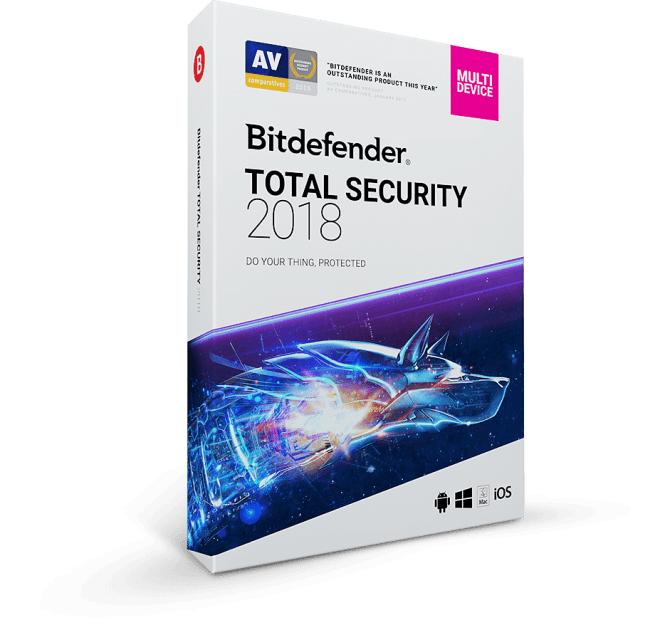 Bitdefender Total Security 2018 is a popular antivirus solution with an intuitive user interface and high level of efficiency. It has a full range of protection and cure features and provides full security for both personal computers and mobile devices. The remarkable feature of this highly customizable antivirus software is Autopilot option. It ensures that beginners receive the same optimal defense for their system as anyone who has a better understanding of antivirus settings. And it protects your system without annoying nag screens and pop-ups. 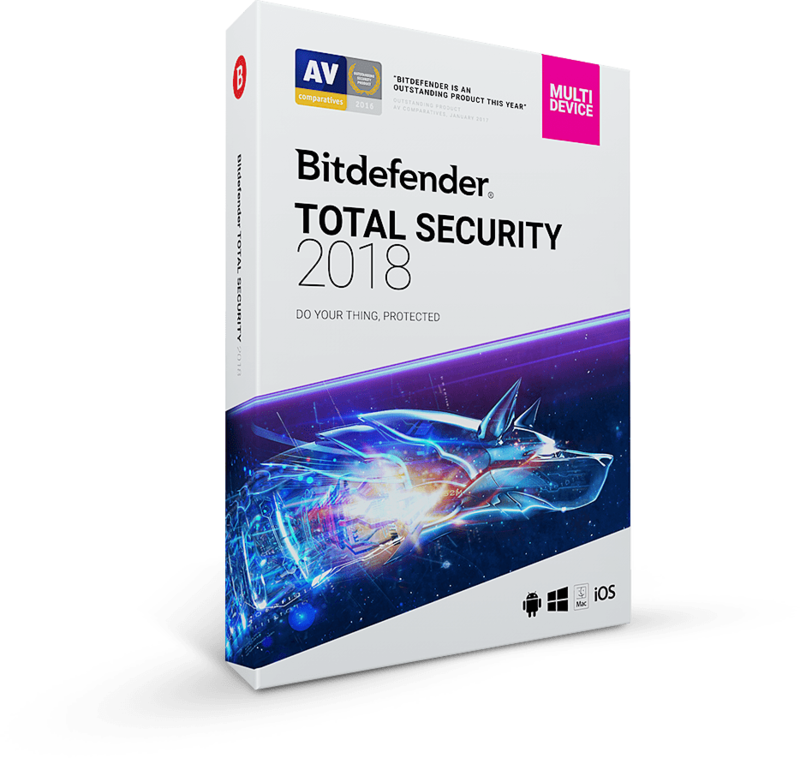 Then, Bitdefender Total Security 2018 has advanced threat defense based on the behavioral principle. If anything in your system behaves suspiciously, Bitdefender reacts to this and checks whether it's safe to allow any further action. Another new feature in the latest version of Bitdefender Total Security is the web camera protection. If any application tries to access your webcam, you receive a notification about this to prevent any spying or data leaking. Finally, the latest upgrade has some enhanced features. Its firewall got more powerful, ransomware protection has more security layers, and file shredder works even better than before. 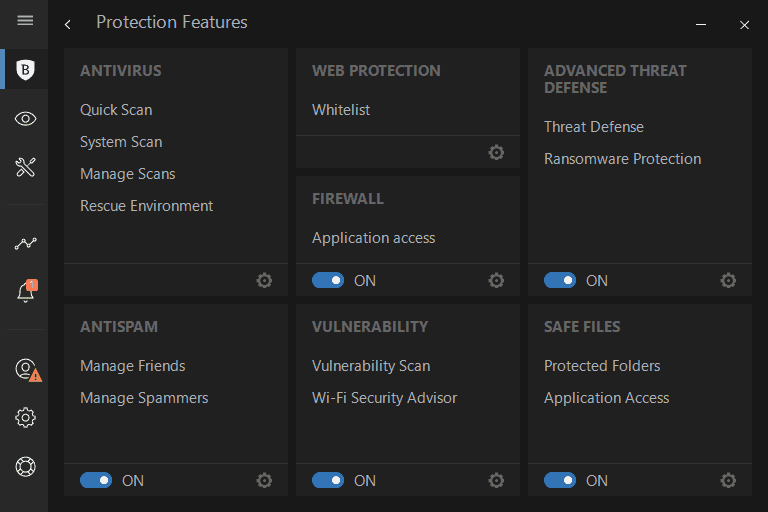 Also, there are some adjustments to Bitdefender Quick Risk Checker which requires just one click to scan your system for immediate risks, outdated programs, and potentially harmful system settings. 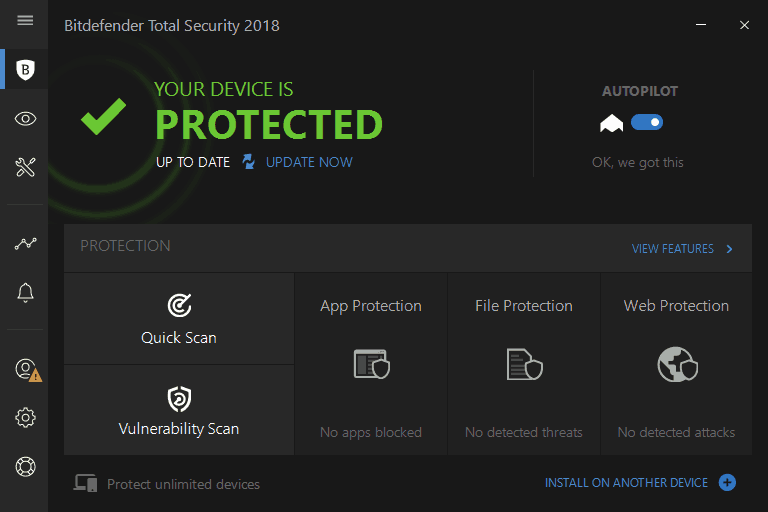 All in all, Bitdefender Total Security 2018 seems to be a great improvement to reliable software. If you're looking for a great antivirus with a reasonable price, check it out!